Wilderness medicine is all about providing healthcare to people when you are miles from the hospital environment. This can be as simple as putting a dressing on a simple cut to spending weeks abroad on expeditions. We like to focus not just on Wilderness Medicine but the Wilderness itself. We run events such as climbing, walking, mountain biking, scuba diving along with traditional lectures and workshops on a host of topics relating to Wilderness Medicine. Our annual 'Medical Skills in the Wilderness' Weekend in the Lake District gives students the opportunity to have fun away from University as well as teaching from top medics in the field of Wilderness Medicine. 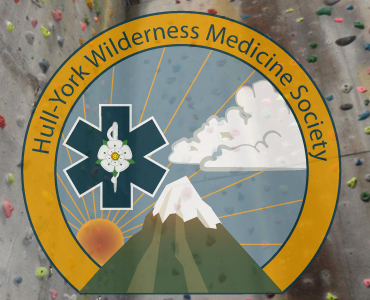 Although this group is largely run by HYMS students it is open to anybody who has an interest in the outdoors or medical care (from nurses to doctors to first aiders) and as a joint society between Hull and York, it is a great way to meet students based at the other campus. With strong links with Wilderness Medicine Societies at other medical schools, it is also a great way to meet other students outside of HYMS! If you want to know more about Wilderness Medicine at HYMS or want to raise some ideas with us please don't hesitate to get in touch. Join us on Facebook.